Mumbai: Reliance Industries , India’s largest listed firm, is set to sign a deal with the Indian unit of Walt Disney, to acquire content for its telecom operations, the Financial Times said. The deal by Reliance with UTV Software , in which Disney controls 50.44%, is expected to be completed in the coming weeks, the newspaper said late on Sunday, citing people close to the development. The deal is expected to give Reliance access to games, entertainment and children’s content for their telecom operations, the paper said. In June, Reliance signed a joint venture with DE Shaw, a US hedge fund, for acquiring Bharti Enterprises 74% stake in an insurance joint venture with France’s Axa . The following month the Indian cabinet approved Reliance’s plan to sell a stake in 21 of 23 planned oil and gas blocks to BP as part of a $7.2 billion deal. 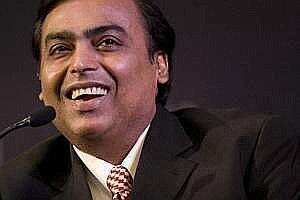 At 10:24am, shares in Reliance, valued at $53.5 billion, were up 1.5% at ₹ 815 in a firm Mumbai market. The stock has been a laggard, falling 24% in the year to date compared with a 21% drop in the main index , largely due to falling gas output.